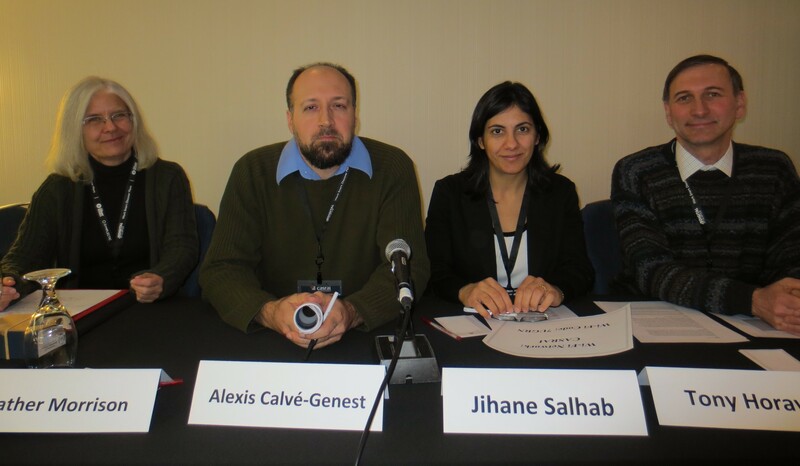 The Sustaining the Knowledge Commons Team (left to right Heather Morrison, Alexis Calvé-Genest, Jihane Salhab and Tony Horava) presenting at the CASRAI Reconnect conference in Ottawa, Nov. 20, 2014. Click the link below to view the team’s presentation in PDF. A sad moment for open access: the closing of Open Medicine. Kendall, Maskalyk & Papelu’s final editorial provides a good explanation of the resources that we need to support scholar-led open access publishing: active participation in the form of academic editing, and financial support for the work involved in running a journal. This illustrates why we need to work towards sustaining the knowledge commons.